Perhaps the problem is that the WAC thinks Stanley is doing his job! Clearly, the management does not support this great art form, the power of the full symphony orchestra. As their actions suggest, they want to restructure the system entirely, creating a “sustainable business model” that would be “ideal” for profit. This whole idea exists without even considering the art!!! So in a way, it’s like they’re saying “here’s a huge bonus for helping us achieve a new model of reduced quality because we don’t really even care about the power of music and the hardworking musicians!” Totally despicable. My dad spent his 20’s to 40’s years working for a British corporation in NY city. He was never in elected city or state politics, but watched and read every thing on both sides of the right and left. As now, there were delicious and terrible political scandals and Mafia family murders, etc. in NY city and state. His comment for the rest of his life when a suspected scandal was brewing was ‘Follow the money’. He said that several of the Mafia murders would not have been prosecuted as they were just because there was a murder, but the criminal was caught by the IRS for income tax fraud. I am not saying that this is the same with the AS situation, but the idea of following the $$ is. How has the board invested? Is there ‘conflict of interest’ in who is managing the money and investments? Is one of the finance people the wife, daughter, relative of one of the board members? Etc, etc. Who makes decisions about bonuses? Who made the final decision about the lockout? It’s pretty clear he was hired for two reasons and two reasons only. Slash and burn! The head of the WAC, Virginia Hepner is even more to blame. Virginia Hepner is to Stanley Romanstein what The Evil Emperor is to Darth Vader. It’s tragic that real, invested arts leaders like Deborah Borda, Michael Kaiser and Deborah Rutter are few and far between. Thank you, Ms. Hogstad, for bringing your experience of excellence in investigative journalism to this recent debacle. And, you write real darn good, too! Great job Emily – – Thank you for doing the research and writing this. Q. How do you make people hate classical music? A. Hire them for one week as a symphony telemarketer. This said, the situation you describe in Atlanta reflects exactly what is happening to orchestras all over the country. That makes it no less dire or miserable. My best wishes to you all and to the future of classical music in America. Oh, but it’s even worse…..Atlanta has arguably the best orchestral chorus in the world–invited on multiple occasions to sing with the Berlin Philharmonic, Grammy winning, etc. etc. But they don’t pay any of the vocalists a DIME. My now ex-husband was the ASO chorus piano accompanist for a decade (you know, just the guy that has to render some of the most difficult orchestral scores ever created on the fly at the keyboard for all their rehearsals/performance warm-ups) and he never grossed more than about 10,000 a year from this organization for that job. So……yes, it’s awful what they’ve done to the “full timers”…..but there are a TON of artists that are just as integral to the overall quality/success of the orchestra that are paid next to nothing, or nothing at all today, and no one even brings them up in these discussions. The Atlanta art patron community should let this organization collapse; I think under the circumstances the management structure is not salvageable. I drove 180 miles round trip once a week from Sept. to May and after the Shaw years Sept. to June; and Monday through Saturday for performance weeks for 25 years. I say this, not with pride, but with humble exhilaration and gratitude. IT WAS WORTH IT!!! It fed my soul. I HAD to do it. And I am not alone…. I quote a statement made yesterday by Elizabeth Pridgen, Music Director of the Atlanta Chamber Players, “Any place, in order to be a great place, has to be creating great art. And the city of Atlanta needs its orchestra”. I add to that, so does this state and region. Good Art changes lives for the better. Many times I took a busload of high school students to our concerts and to a person, intelligent and bumpkin, then and years later expressed their gratitude, joy, and amazement of how the experience had changed them. The change is ineffable. It is something the soul receives and is expanded by it. So, WAC (so called) administrators!! Is it that you just don’t care? Have you lost the vision? Did you ever have it? If any of these is true, please LEAVE!!! You have done enough damage!! You obviously DO NOT care about enhancing a great institution in our city. Hell! You don’t care about MAINTAINING it !!!!! And, citizens (not only us, musicians) of Atlanta, of this state, and region!! How much do WE care? There is a wonderful and informative post (also partially quoted above by Emily E. Hogstad) by Elizabeth Erickson of Save Our Symphony Minnesota that spells out specific actions that they took to do just that….Save Their Symphony!! In a nutshell it says “Follow the Money”. I am smart enough to KNOW that I am not equipped to initiate and lead these actions. (Hmmm…something Stanley and his cohorts might have considered about themselves???) But who will step up and help us? I’m still in the process of getting caught up reading the asocmemberblogspot and don’t know if this question has already been answered. But all talk and no doing will get us, not what we got last time, but WORSE!!!!!!! p.s. Paul, orchestra, and chorus….I love you….Please Stay Strong. My heart is with you….somebody tell me what to do and the rest of me will be, too!!!! I’m hearing rumblings of an audience advocacy group forming, so stay tuned! Check the web domains! Quickly! What an excellent piece concerning the pure greed of management, once again getting huge bonuses on the backs of working musicians, artists in their field. Unless an orchestra manager has performed as a musician at the top level he is not qualified to run such a prestigious organization. It’s important to note that Deborah Borda was a fine violist before she took on the management of the LA Phil and led the orchestra to financial solvency and the best compensation package in the country for her musicians. She knows what it takes to be an artist and respects the orchestra. Need I say more? Well done Emily, right on the money!! Clearly there is no shame or sense of morality in any of the ASO management or they would not still be accepting full salaries while they lock out their very reason for existence – THE ORCHESTRA. Major donors should clearly withhold all support until the CEO is fired for incompetence and fraud. Any way to know what strings were attached to those bonuses? Not unless documents are leaked or people come forward. Funny.. they could have done a much better job with the PR on the website just by making a statement that the website is refraining from taking positions on the work stoppage until a resolution is reached. They blew it, of course, and quite clumsily. When bonuses are being handed out, I assume, by the WAC board, what is the criteria? It seems to me, in my naivety, that when one is employed by an organization that relies largely upon private gifts and public support, that individual should be satisfied with the contracted salary (inflated as is may be – but that’s another subject) and should only receive consideration for bonus compensation when, or if, the books are balanced. The fact of the matter is that public interest in the symphony as an entertainment platform is lower than it has ever been. It does not matter if the ASO sounds the best in the country. If people don’t want to pay to hear them, then you’re simply stuck and changes have to be made. If the ASO Hall was filled every concert, then there would not be an issues. But there are TONS of empty seats there. Yeah, disagreed… In Minnesota, public interest in the symphony has never been HIGHER (in large part due to the lockout, unfortunately). Empty seats can also mean a management failure or more mundane causes besides “nobody cares about the symphony”: lack of meaningful programming, lack of outreach, lack of advertising, mis-priced seats, a tough parking situation. Don’t assume the situation can’t be turned around, or that it’s automatically the fault of the art form itself. Other symphonies are actually posting record ticket sales. Interesting and well-reasoned article. I’m curious to hear your thoughts on ASO Music Director Robert Spano. He appears to have postured himself very seamlessly on the side of the players. While he didn’t receive a bonus in the 2011-12 fiscal year, he did enjoy compensation well over half a million dollars (total compensation came out to $559,312, I believe). Some, especially musicians, may believe an MD is more worthy of a hefty salary, and Spano’s is not uncharacteristic of the industry, but it still dwarfs Romanstein’s (bonus and all), not to mention the salaries of the highest paid players. I also should add that while Romanstein’s position at the ASO appears to be his primary professional commitment, Spano also serves as Music Director at the Aspen Festival and School, where he conducts during the summers. He also is a conducting faculty member at Oberlin Conservatory, where he has been listed on leave and has not lifted a baton in more than four years. I have so far been unable to get Oberlin to confirm whether or not he remains on payroll. Here’s my personal stance on this matter (and please keep in mind your mileage will vary): Music directors who are well-regarded masters, who have led or maintained an organization’s artistic greatness, as it appears Spano has, are worth paying the going rate for. And what Spano is paid is the going rate right now. (Or below going rate… Osmo earns around a million a year. In the case of the Minnesota Orchestra, though, that’s absolutely worth it. After Osmo’s history, very few other people would prove to be a box office or donor draw he is.) I don’t know that you could get someone better for that same amount of money. 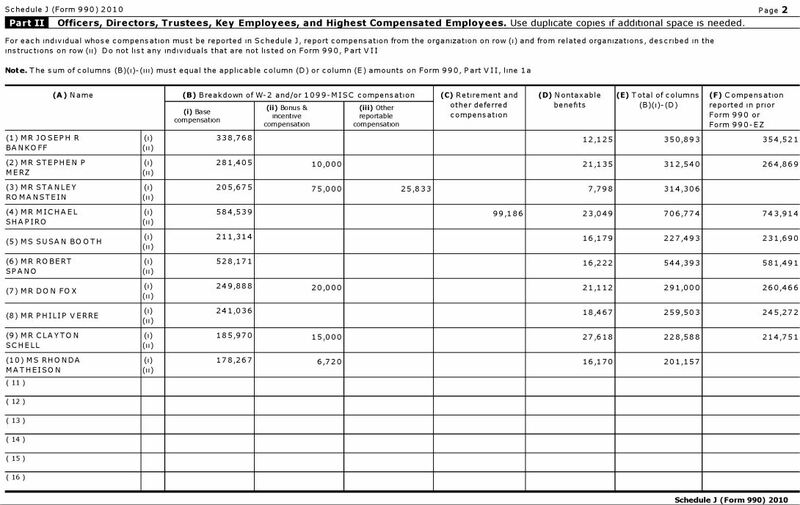 I also see that Spano gave at least $50k back to the orchestra to fund the Carnegie Hall trip. Perhaps he has given more as well; I’d need to dig into available donor records. However, an administrator who under-performs his peers, who resorts to two lockouts in two years, who garners the enmity of so many employees, who is the cause of so much donor and patron dissatisfaction, who is encouraging a culture of division and constriction… I don’t think that’s worth paying the going rate for. I think you could get someone way better for that same amount of money. Unless the WAC’s goal is to downgrade the quality of the orchestra so they don’t need to worry about it any more, which may in fact be what’s really going on here. 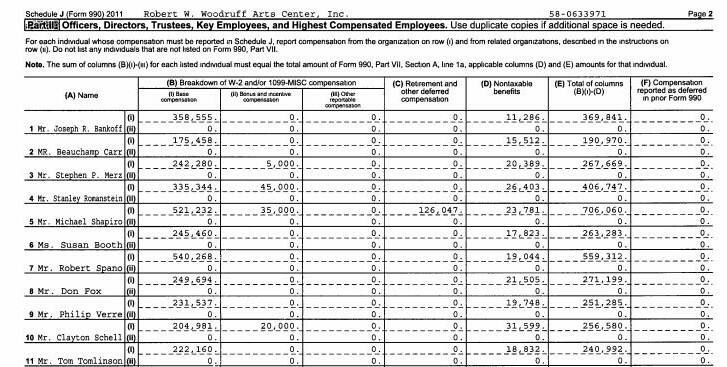 I don’t want to say “arts administrators are paid too much and conductors aren’t” … that’s absolutely not necessarily true. Great administrators are worth their weight in GOLD. And there have been a few guest conductors I could name who, if they were named the principal music director of the Minnesota Orchestra, would absolutely not be worth Osmo’s salary, no way, no how, and I’d hope I’d be yelling from the rooftops if someone unqualified or under-performing was being paid that amount. And if Kevin Smith, the amazing current Interim CEO of the Minnesota Orchestra, was given bonuses, and the organization was otherwise in strong financial shape, I’d say, you know, go ahead; I don’t have TOO much of a problem with that. The idea of “bonuses” in a non-profit still kinda rub me the wrong way, but it certainly wouldn’t be worth writing a long spiel about. It’s a competency issue. Context matters. Not to mention, generally speaking, from my observations, it’s easier for a so-so administrator to get into a major position than it is for a so-so music director to get into a major position. (Can you imagine a music director with a biography similar to Stanley Romanstein’s getting to be the music director of a major symphony orchestra? It could happen, but the likelihood would be small.) And I don’t think enough people are watching what arts administrators do, or even know that arts administrators exist. Before the Minnesota Orchestra lockout, I sure as heck knew who Osmo Vanska was, but I’d never heard of Michael Henson. That was a bad thing: Henson was just as powerful within the organization as Vanska was, if not more so. So perhaps I judge administrators a bit more harshly than I ought, knowing that they often aren’t being constantly assessed by their broader public in the same way a music director is. However, each situation is unique. And your mileage may vary. These are complicated topics that allow for a wide range of reasonable opinions. Thank you for your thoughtful response. Having played under Spano, I can certainly attest to his quality as an artist and as a leader, and agree that you get a more qualitative bang for the buck, so to speak, with him than someone like Romanstein. He also seems, from the limited interaction I’ve had with him, to be a genuinely good man. I suppose things get complicated when you start considering qualitative value as it relates directly to revenue. Your point about a possible motive on the part of the WAC to downgrade the orchestra is very interesting. While, as a trained musician, it is easy for me to see the value Spano brings to the table, the question of whether audiences do is another issue entirely. I’m in no way qualified to venture into a discussion on economics (and I wish we didn’t have to) but it clearly seems to be play salient role in what’s going on. The WAC may indeed think they can turn the financial tide by dulling the edges of the product while audiences keep showing up none the wiser. I admit I have no idea what Spano’s contract looks like, and whether or not he was poised to take a financial hit analogous to that of the players. I’d be interested to dig deeper (as I’m sure you have). Thank you for your thoughts on this issue. I’ll continue to follow you as events unfold. “The WAC may indeed think they can turn the financial tide by dulling the edges of the product while audiences keep showing up none the wiser.” Yeah, and that’s the big question. And it doesn’t help that it’s such a subjective experience. But I can tell you that audiences definitely noticed when the Minnesota Orchestra lockout ended, when the orchestra was relying very heavily on subs, and a regular conductor wasn’t shaping the group’s voice. I heard audience comments, people wrote letters to the editor, private conversations were had. Even if people couldn’t hear the difference, though, I do think that all stakeholders respond to the organizational attitude “we want to continually improve; we refuse to downgrade the quality of the product or experience.” If everybody has bought into that, that’s powerful. The alternative – “here’s a smaller orchestra doing less and becoming increasingly irrelevant that we want you to pay more for” – isn’t that inspiring. Osmo said something after the Minnesota lockout ended: “A bad orchestra is almost as expensive as a good orchestra. So, better to have a good orchestra.” Exactly. This is the same argument that always comes up with CEOs of major corporations. Why give them monster bonuses, especially when things are not going so well. Well it is all about supply and demand my friends. If you want to hire a high quality leader then you have to provide them compensation commensurate with the market rate. If you don’t care about the quality and experience your future leader brings to the table then offer a below market rate. It is actually that simple! Why do you get the salary and bonus you get? Because your company wants your experience and offered you that to convince you to work there. And they will have to increase that over time if they really like you because they do not anyone else to attract you away. So this article is meant to stir the pot, and anger people but in truth it is not founded on the logic that comes with running a business.